Indiana is celebrating its bicentennial this year, and to mark its 200th year of statehood, Hoosiers are developing and implementing all sorts of legacy projects. One of the many legacy projects that involves Hendricks County is the Indiana State Scenic Byways Passport Project, which launches March 31. Indiana is full of scenic and historic byways, with one of them -- the Historic National Road Byway -- running through Hendricks County. The National Road stretches from Cumberland, Maryland to Vandalia, Illinois, cutting all the way across Central Indiana and running through the Hendricks County towns of Plainfield and Stilesville. Originally authorized for construction in 1806 by President Thomas Jefferson, the National Road is also known as U.S. 40 in Indiana, and is home to a number of historic and scenic sites. 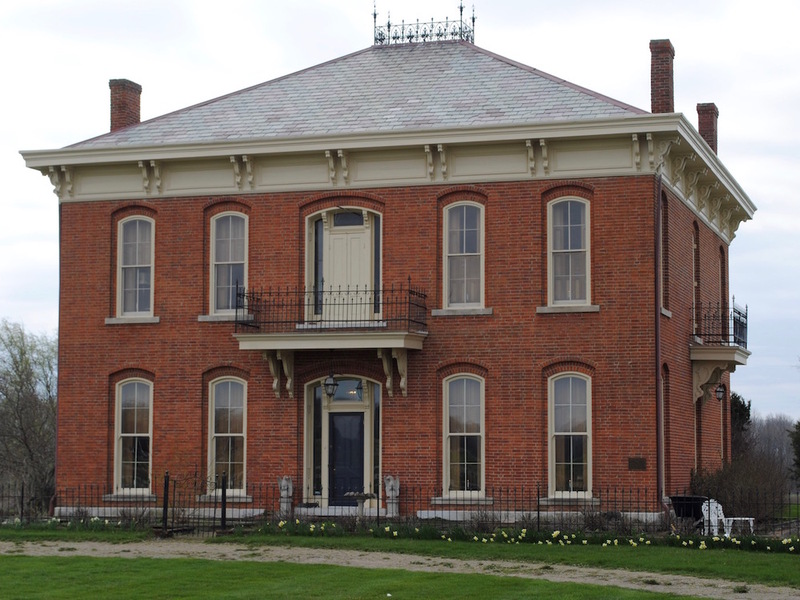 Just outside of Stilesville, for example, travelers of the Historic National Road Byway can view Rising Hall, which was built in 1872 and where its original owner, Melville F. McHaffie, raised mules for the Union army. In Plainfield, the Historic National Road Byway passes right by the Van Buren Elm, where President Martin Van Buren took a historic tumble into the mud in 1842 while visiting the town. History buffs can find a plaque at the site, commemorating the event. Plainfield is also home to the historic Oasis Diner. Originally built in 1954, the Oasis Diner was relocated to the other side of Plainfield in 2014 and then restored. It is now a fully-functional (and delicious!) place to get a bite to eat along the Historic National Road Byway. This brings us back to the Indiana State Scenic Byways Passport Project. The good folks at The Historic Michigan Road have partnered with the six other byways around the state, including the Indiana National Road Association, to host an officially-sanctioned Bicentennial Legacy Project that offers families a great way to explore the Hoosier State. The Oasis Diner will be a designated Indiana Byways Passport stop for the Historic National Road Byway, where travelers can receive a passport, get it stamped and learn more about Plainfield and Hendricks County. 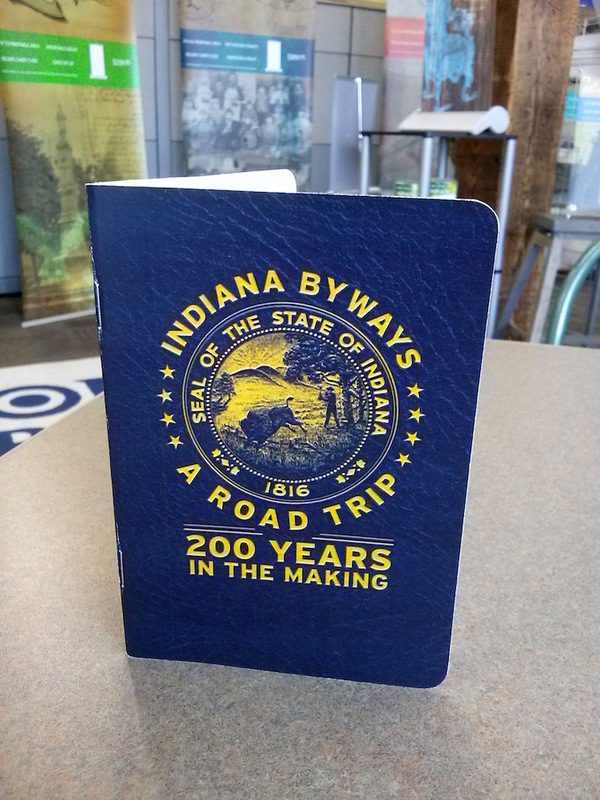 Each passport is 36 pages of informational material and maps of each Indiana byway. Families can get their passports stamped at each designated stop throughout the state, allowing them to explore restaurants, hotels and attractions along each byway. Once your passport has been stamped at all of the designated stops, you can turn it in for a special commemorative prize. The Indiana State Scenic Byways Passport Project is a free, family adventure, although donation boxes will be located throughout the state -- including at the Oasis Diner. Any money donated will assist the not-for-profit organizations -- such as the Indiana National Road Association -- who are participating in the activity. Beginning March 31 and continuing throughout this bicentennial year, make plans to participate in the Indiana State Scenic Byways Passport Project and visit Hendricks County to get your passport stamped at the Oasis Diner on the Historic National Road Byway!